In 2014, our 2% giving commitment took the form of grants for 3 students, 2 global locations with great need, 2 design/build projects to restore communities. They are located in Honduras + Haiti. Follow the stories of our sponsored students. Wow! What an amazing trip I had to Honduras! After being back in the states for a few days, it still seems so surreal, like I was just there yesterday. Even though Honduras is located in nearby Central America, the two cultures are still very different. Before going to Honduras, I had already expected to learn about the culture, the people who live there, and how to construct buildings, but what I learned was much more than that; as cliché as it sounds, it truly was a life changing experience, one that I hope everyone has the chance to partake in. My trip to Honduras began early Monday morning at the LAX airport, with many of us still groggy from waking up so early to catch our flight. A little more than five hours later, we finally arrived at Toncontín International Airport, in Tegucigalpa, Honduras. While flying into Tegucigalpa, I immediately noticed how green and lush the country is. However, while riding in a bus to our compound (living quarters for the week), I quickly learned about the rural communities scattered throughout the green Honduran countryside. The next morning, we drove to the community, El Ojochal, that we would be working in for the week, which was located about 45 minutes away in the tropical San Ampale Valley. Upon arriving, we noticed that the community’s living conditions greatly contrasted the beautiful greenery. Homes are built using basic sticks and branches, and the main road is “paved” with rocks. Although the community was lacking in advanced living conditions compared to life in America, it was filled with caring and generous people. When we arrived on the first day, the entire community energetically greeted us, even though we were complete strangers. Despite their little knowledge of English, the residents welcomed us into their homes and tried to make conversation. We toured the community, and during our tour, we learned that we would be constructing a home for one family and a kitchen for another. At first, this task seemed very daunting and nearly impossible; considering that most us of can barely complete a small scale model in less than a week, could we really build a real-life home and a kitchen in a four days? Thankfully, two local masons helped us, and the family even worked alongside us as well. Every morning that week, the family would already be working when we arrived, and every morning, we saw just how hardworking and well-deserving this family and this community was. To build the two structures, we first shoveled and sifted gravel and sand to create mortar, and then we carried cinder blocks up and down the road the entire week. Not once did the family ever complain about how hard the work was, but boy, was my whole body sore! Although we were tired, the family provided much-appreciated mental and emotional encouragement. Here was family that, with open arms and encouragement, motivated us to keep on working, even when we felt like we weren’t able to move anymore. We eventually developed a team system, and people learned to specialize in certain jobs. Some of us shoveled, some of us mixed, and others placed blocks in place. One of my favorite memories from the week was the opportunity to interact with the children in the community. Despite their rural lifestyle and the accompanying hardships, these kids were always full of life and energy. They yearned to learn about us, the country we came from, and what we did. What was so amazing, though, was the fact that they were so willing to become friends with us, strangers who knew little to no Spanish. I quickly befriended a little six-year-old named Jose Israel— or, rather, he’d probably correct me and say that he befriended me. Instantly, upon seeing my name tag, he tried pronouncing my name, and over the course of those few days, he became someone I will never forget. Every time I saw him, he always had a smile, and he always gave me a huge hug. Coming from the U.S., you’d normally think that the kids would be wanting more than what their current socio-economic status had to offer, but it was quite the opposite. They were, if not more, less stressed and happy with their life than their U.S. counterparts. To them, the most valuable thing was friendship, not some gadget or toy. This especially hit home when, at the end of the trip, Jose called me “Tu eres mi amigo precioso,” or in English, “You are my precious friend.” Never would I have expected to hear that, but when he said that, it meant the world to me. Reflecting on my week in Honduras, I learned so much more than what I would have learned in a classroom. Practically, this trip taught me how to work efficiently in a team setting, how to calculate the costs of constructing a home, and how to build permanent structures using simple mortar mix and blocks. More importantly, though, I learned that the most important thing that we can do as a people is not to pity the less fortunate; instead, we should provide people with the tools to achieve greatness. We just didn’t go help Hondurans build a home and a kitchen; instead we gave them the opportunity and the tools to better their lives. Knowing that they have a support system – a system in which they can learn from – is, in my opinion, one of the greatest things we can give them. It is from here that they are then able to help better the rest of their communities, which is our ultimate goal. I want thank USC Global Architecture Brigades and Norelius Studio for giving me this wonderful opportunity. 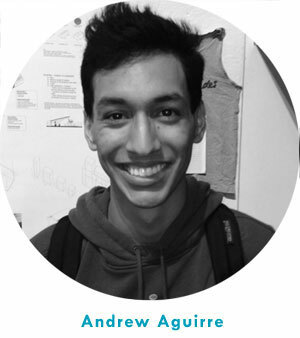 My name is Andrew Aguirre, and I just finished my second year at USC School of Architecture. I’m very excited to be accompanying USC Global Architecture Brigades to Honduras to help build health centers and schools next week! I became interested in volunteering with Global Brigades after taking specialized architecture classes and while volunteering in my surrounding community throughout this past academic year. Over the course of this last semester, my second-year architecture studio heavily emphasized the importance of working with practical materials and exploring how the choice of material affects the design process. Typically, during studio, we often design solely based on creativity rather than practicality, and as a result, we often end up designing in a made-up “3D” world. However, during this past semester, I worked with fellow students from my studio to build a full-size metal pavilion. Even though my studio agreed on the pavilion’s design and understood our real-life challenge, our inexperience with translating designs to tangible projects showed. The process constantly forced us to keep altering the design to accommodate the building material. Although it was a strenuous project filled with long nights and little sleep, the project was an invaluable experience. I learned to change my approach to design, and, moreover, it also made me interested in other possible real-world design challenges. Additionally, even though the project forced me to be at studio every day (oh, the joys of deadlines! ), I still made an effort to volunteer weekly in the surrounding community, including at tutoring sessions and hosting kid events at museums or zoos. Many children in South LA are continuously exposed to hardships that many people do not regularly face, including poor schooling, lack of funding, and lack of opportunities. After learning more about USC volunteer programs, I viewed these extracurricular activities as opportunities to give back and to interact with these students, sharing the resources and providing the support they need to be excited about education. Instead of pitying the less-privileged because of their economic standing, I learned to admire their tenacity and courage, and I vowed to try to support other less fortunate communities as well. Upon first learning about international volunteer programs, I, like many others, stereotypically thought of medicine and engineering; rarely does anyone think of architecture as an effective way to help rebuild a community. However, when I heard about Global Architecture Brigades and their trip to Honduras, I immediately became eager to learn more. This upcoming trip combines an important value in life, philanthropy, with my passion, architecture. I view architecture as a great way to create sustainable, affordable housing, enabling those occupants to create a better lifestyle for themselves. Eventually, I’d like to start my own non-profit architecture firm centered around building sustainable communities, and through Global Architecture Brigades, I believe that my goal of tangibly and concretely helping a community in need can finally be achieved. Finally, I’d like to thank Mr. Norelius and Mr. Saez for making one of my dreams a reality! See you in a week! Spending a week in Honduras was not enough! It was one of the most fulfilling and exciting experiences I have had so far in my architecture career. The energy around the compound, full of brigades from all over the country, was contagious. There were so many different stories to share. Our brigade was building a house and a kitchen for two families in El Ojochal, and we had just 5 days to do it. From the moment we met the families I knew we were doing something amazing. The look on their faces was enough to motivate me to do the most I could in the next 5 days. It seems to have paid off because we were ahead of schedule most of the week! Every day I was excited to wake up early and get to work (and I had to take advantage of those early, less hot and humid hours). I was able to learn a lot from the local masons about their construction techniques, and they were patient enough to deal with my extreme lack of Spanish vocabulary. I was pleasantly surprised to learn that they are extreme perfectionists just like us! In the end the families were beyond grateful for everything we had done. We were even able to buy them several household items from a local market! One of the families threw us a little dance party in their new house on the last day, and I must say they have got some pretty jam-worthy music selections. The children in El Ojochal were also a major highlight. During our education day we were able to organize activities with the students of the local school and I must say I was very impressed by many of the kids! They are very quick learners and understand things about the built environment I probably hadn’t at that age. I can only hope they all have bright futures. Hopefully our work in El Ojochal does not stop now, there is plenty of work still to be done! I definitely plan on coming back next year and I’m hopeful to recruit as many of my peers as I can. Three years into architecture school and I’ve still yet to manage my sleep or sanity. This past spring semester at USC was the first we’ve been able to fully integrate conceptual ideas with building systems, structure, facade and site into one semester long proposal for a new Center For Architecture & Urban Design in downtown Los Angeles. We were able to build some incredible large-scale models, thanks to endless nights in studio filled with coffee and a few mental breakdowns. Now that it has finally ended our trip to Honduras is right around the corner. I became interested in joining the Global Architecture Brigades this year through the experiences and advice of my peers. While fantasizing about our own studio projects has its perks and distractions, it’s nice to be able to be put back down on solid ground where real people need our help and guidance. I do not fully what to expect from my experience in Honduras, but I will breathe fully into the unfamiliar. I know my career will be a long, strenuous and slow road, but I embrace it with the things I do not know yet. This trip to Honduras would be a step on that road. I know the reasons why the trip is appealing to me but I cannot admit to knowing the knowledge and perspective it will give me after I have been there and experienced it firsthand and that is what excites me. All I know is that it will change me in some way, and in that respect I will be that much closer to realizing my capabilities and motivations in my own profession career. After Honduras I will be spending my summer in Key West, Florida interning for an architecture firm. I can only hope the beach won’t prove too distracting. At the end of the summer, I will be off to Barcelona to study abroad for the fall semester. When I return to Los Angeles in 2015 I hope to be refreshed and ready to tackle my final three semesters at USC. Starting back in the spring of 2013 a Haitian non-profit, the Organization of Support to the Development of the Plateau Central (OSDPC) reached out to the Boston chapter of Architecture for Humanity (AfHB) in hopes that they could collectively design a much needed vocational school in the region. Keene State College (KSC) got involved in this project at this time and worked as the primary design team along with collaborating AfHB members. Over the course of the last 18 months the three groups developed several different schematic designs, participated in fundraising opportunities, and presented the project at a few building industry conferences such as Architecture of Boston Expo (ABX) in November of 2013.
breaking ceremony to take place this coming July. I will be traveling to the Central Plateau in Hinche, Haiti at this time to partake in the formality, as well as travel the countryside to volunteer with OSDPC at health clinics, and tour the city of Port-au-Prince. I will be traveling down with the foundation plan of our finalized technical school at that time so that the construction manager of this project will be able to start work immediately. I am very excited for this opportunity as this will be my first time traveling outside the country. I have been quite interested in international development and community sustainability for several years, and thanks to the 2% sponsorship I was awarded through Bruce and AfHB I will finally be able to achieve this dream of mine. I will be in Haiti between July 16th down there on the observations I make on Haitian culture, architecture, and construction techniques. As soon as I return I will write again with an update on the status of the Hinche Technical Institute at the Central Plateau in Hinche, Haiti.